Monkey Puzzle Training & Consultancy took a Practitioner Guided approach to working through the Chapter Companion Courses on the Watertight Webschool. They found it so useful that they went through it all twice with two different experts. Monkey Puzzle is a leading provider of People Consultancy, Leadership Development and NLP Training. 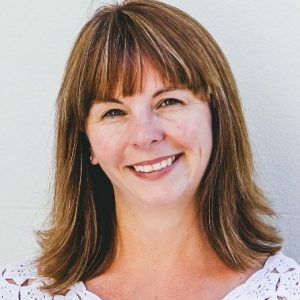 Karen set up Monkey Puzzle with fellow NLP Master Trainer John McLachlan to support leaders, entrepreneurs, speakers and business people to develop their skills and talents in a way that fits with their own style and personality. Spotting Watertight Marketing at the airport was the start of a relationship that would lead to a renewed faith in marketing – and a doubling of turnover. Karen and John faced a challenge shared by many business owners who transition from corporate life. Marketing can turn out to be more complex when it’s your own business. 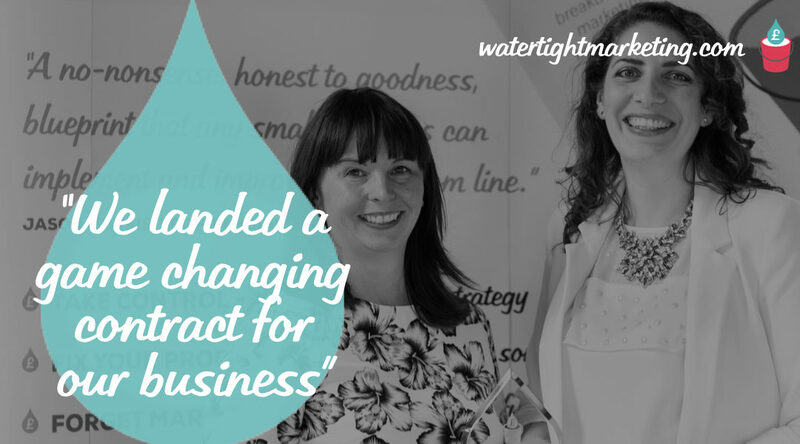 Having put some of the book’s ideas into action, Karen’s next step was to attend a Watertight Marketing ‘Lunch and Learn’ for business owners in Bristol. This led to Monkey Puzzle starting the 12-month Masterplan programme, (now packaged as Chapter Companion Courses on Watertight Webschool). With these objectives in mind, it was necessary to discover which were the right actions to take – and feel confident that they would fit their own values. Karen described what appealed about the Watertight Marketing approach. Although Monkey Puzzle quickly realised what they needed to do, and found an order for doing it, Karen particularly identified with the Watertight Marketing approach of slowing the sales process down – in order to match clients’ timeframes. As part of the Companion Course to Chapter 2, participants review their marketing against the Thirteen Touchpoint Leaks™. This is a bottom-up analysis that identifies how businesses lose both customers and profit from their marketing activities – and creates a traffic light action plan of priorities. Appreciating their customer’s purchasing timeframes played an important part in successfully addressing the top two leaks identified. Leak #4 addresses how easy it is for customers to buy from you – and the more you can do to give them a flavour of what it would be like as a customer, the better. A ‘Gateway Product’ is often developed to create a stepped path to purchase. By its nature and cost, a training solution is clearly a very considered purchase – and these are seldom quick decisions. Karen’s challenge was how to give potential customers a sense of what it would be like to work with Monkey Puzzle – and therefore progress towards a purchase. Find out more about Karen’s books here. The stepped communication approach also helped address the next leak in their marketing process, information overload. Leak #7 addresses the quantity and timing of information sent to a prospective customer. In the early stages of a buying decision, most people will be considering more than one option. Or, they may be just curious. If you wade in at this point with heavy sales information, you’ll almost always put people off. Monkey Puzzle realised they were doing what many businesses do. Not only were they giving away all their best materials too quickly, it may have come across as ‘information overload’ and risk not being read. After 12 months of the Masterplan programme, Monkey Puzzle have won contracts that have doubled their turnover. Karen attributes this to what she has learnt from the Watertight Marketing book and Webschool courses. And, while the book was clearly energising and thought provoking (even on a holiday flight!) there were two catalysts she attributes to this breakthrough. To cap a hugely successful year for Monkey Puzzle, Karen was named the ‘Watertight Marketing Business Owner of The Year’ in June 2017, following her success on the Webschool courses for business owners.